Leading dually qualified doctor and dentist Dr Kinsella, due to his renowned reputation has recently been invited to become one of the elite resident doctors in Harrods London where you can find him on the 5th floor at Urban Retreat treating his celebrity patients. Dr Kinsella has run international training courses teaching doctors and nurses in Turkey, Italy and Cyprus but now only has time for his own patients and practices, which he has successfully run for 11 years. Dr Kinsella is passionate about the possibilities of Bio Identical hormones to improve the quality of lives for men and women. He has recently established his own state of the art blood testing facility where he develops bespoke Bio Identical hormones to prescribe to patients across the country. His expertise and passion for aesthetic medicine has led him to develop innovative treatments with outstanding results making him one of the most sought after doctors in this industry. Olivia operates in the capacity of Practice Manager at Re-Enhance. 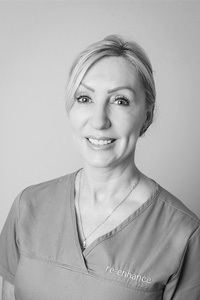 She is a highly qualified Aesthetic Practitioner with over 5+ years operating at this level. Olivia has exceptional vision and knowledge to continue expanding the practice with her wealth of experience and recognition already at this level. 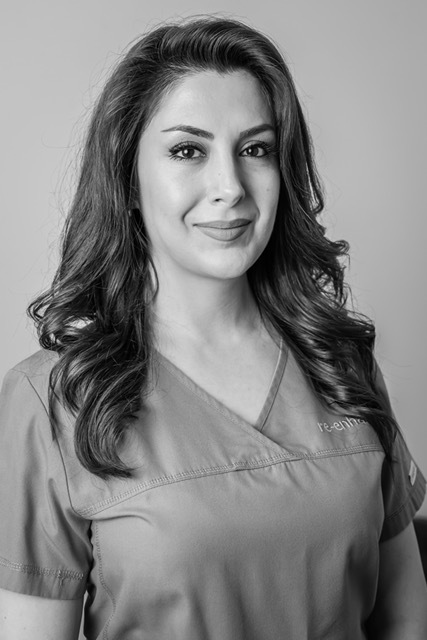 Her passion is to take care of all our patients and their needs whilst delivering outstanding results. Olivia’s also markets and runs all sides of the business at Re-Enhance from our Aesthetic treatments through to our Bio-Identical Hormones. She is constantly planning for the business, selecting training and supervising staff. She ensures accurate records are kept and constantly develops strategies for the practice which ultimately benefit all our clients. Dr Jane Leonard is a fully qualified GP and Cosmetic doctor, qualifying at University of Manchester. She also has a first class honours degree in anatomical sciences, in which she focused her studies on the anatomy of the face, head and neck. She completed her aesthetic training on Harley Street following a placement at The Alfred Hospital Medical Research Centre, in Melbourne, Australia. Her work in Dermatology research has been published in the prestigious Australasian Journal of Dermatology. With eight years of aesthetic treatment experience, she has been nominated for the Cosmetic Doctor of the Year in the Safety in Beauty Diamond Awards for the second year running. Her work has been published in Grazia, InStyle, Fabulous Magazine, Cosmopolitan and the Daily Mail. She regularly writes articles for The Aesthetics Journal along with health and beauty online magazine Byrdie https://www.byrdie.co.uk/author/dr-jane-leonard. 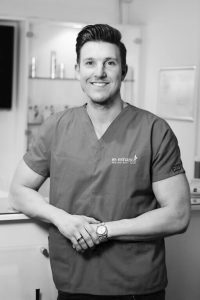 Dr Dominic Wyatt is a fully qualified dentist who carries out all cosmetic dentistry treatments but specialises in composite veneers. He is registered with the General Dental Council GDC and British Dental Association BDA. Dominic previously worked within NHS and private dental practises before joining Re-Enhance in 2013. 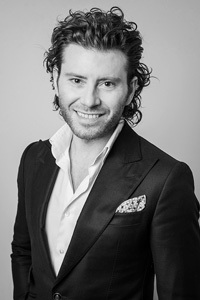 Following extensive experience Dominic is much sought after having built-up an exceptional reputation in cosmetic dentistry, and many of his clients travel far and wide to have treatments. In particular, composite veneers that have taken over from porcelain veneers as a more cost effective, painless, quicker solution to the perfect smile. In the future, Dominic intends to further train and qualify to be able to offer anti-wrinkle injections and dermal fillers as part of his cosmetic services. Advanced NVQ Level 4 Senior Therapist Tracey has been at Re-Enhance clinic for 9 years. Working along side Doctor Kinsella for 9 years she has gained lots of experience and qualifications. Tracey is highly skilled on our Laser Treatments, Chemical Peels, Body Contouring treatments and HydraFacials. Tracey is a fully qualified Phlebotomist along side Doctor Kinsella, she helps take care of the Bio Identical Hormone patients. Tracey is available for a free Skin Analysis to help guide you upon the best treatment. 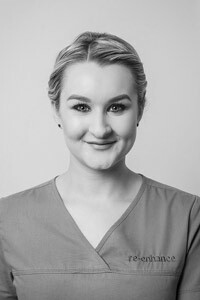 Advanced Level 4 Laser Practitioner Katie is our Yorkshire Practice Manager, She has been with us at Re-Enhance for 4 years. She is skilled at treating all skin conditions. 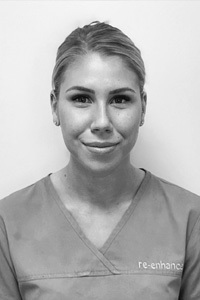 She is a fully qualified Phlebotomist along side Doctor Kinsella, she helps take care of the Bio Identical patients. She is highly skilled in all aspects of anti ageing treatments from our Laser Treatments to Medical Facials. Marjan is the super intendant pharmacist for our Bio ID Hormones. She is responsible for the compounding of our bespoke hormones. She is very committed to further research and development within the use of the bioidentical hormones as well as product development, safety and quality assurance.